“Eternity” | The final result. One of our initial projects was creating a still image in Maya under the broad topic of ‘dynamism’. So you could basically do anything but an architectural render, I guess. The point was getting familiar with Maya and the other available packages. This was good for me as prior to that I didn’t have much experience with Maya, mainly Blender (which remains the best, greetings to the open src community). The grenade original idea comes from Andrew Price’s excellent Blender Guru tutorial, however done in Maya and enhanced in Nuke. 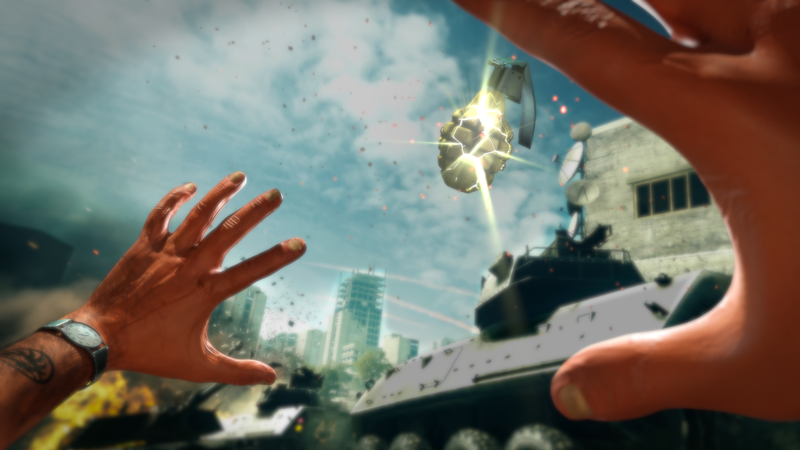 The elements in the scene which are actually modelled are the hands, watch, grenade, particles. The rest is part of the backdrop image which is actually a wallpaper from Battlefield 3, that I got off here. (1) The watch he wears is a replicated model of a ‘French Lancet Tri-color pilot’s jump watch’ as used in the Foreign Legion in the 2Rep (2nd Foreign Parachute Regiment).